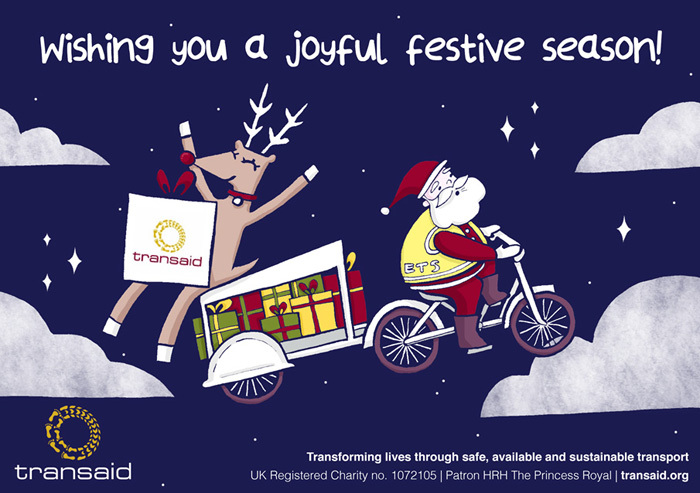 International development organisation Transaid has expressed its gratitude to the 46 companies that supported its Christmas appeal 2017, raising an incredible £26,442 to smash its £25,000 target. 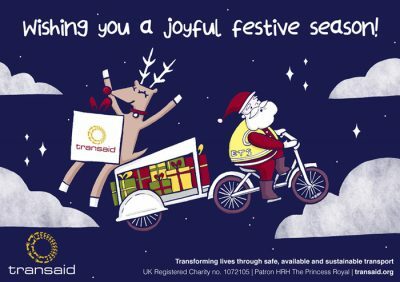 Supporters chose from three packages available – gold, silver and bronze – with contributors receiving either a personalised Transaid e-card, its company logo featured in a double page Christmas advertisement – as published on a pro bono basis in Coach & Bus Week, Forwarder, Motor Transport and SHD Logistics magazines – or both, depending on the chosen package. The money raised from the Christmas appeal will support Transaid’s life-saving work to create and promote driver training initiatives which improve driving standards, ensure safer vehicles and reduce the number of deaths on the road, which is the third biggest killer in sub-Saharan Africa following HIV/AIDS and malaria (Source: The World Bank). Companies supporting the Christmas appeal were Air1, Associated British Ports (ABP), Backhouse Jones Solicitors, Bandvulc Tyre, British International Freight Association (BIFA), BigChange, BiS Henderson, Bishopsgate Logistics, British Industrial Truck Association (BITA), Century Logistics, Chartered Institute of Logistics and Transport (CILT), Clipper Group, Coach & Bus Week, Core Management Logistics (CML), DAF Trucks, Delamode Group, Eminence Logistics, Europa Worldwide Group, Flexi Narrow Aisle, Food Storage & Distribution Federation (FSDF), Forwarder, Freight Transport Association (FTA), Garnett Keeler Public Relations, GEFCO, Go-Ahead Group, Great Bear Distribution, Hiab, Howard Tenens, Integrated Transport Planning (ITP), IVECO, Knights of Old, Labyrinth Logistics, Logistics Job Shop, Logistics Partners, Lytx Europe, Mercedes-Benz Trucks UK, Michelin, Miniclipper, Motor Transport, Neon Shake Advertising, Opal Creative Solutions, PF Whitehead Transport Services, Prolog (Promotional Logistics), Pullman Fleet Services, Renault Trucks, Scania (Great Britain), SHD Logistics, Volvo Group UK, Wincanton, and Woodland Group.